Sitting in Spanky’s eating pizza and drinking beer and drawing. Peterborough, you are a fun town, good food and good people. Music: some amazing mixes here at the club. 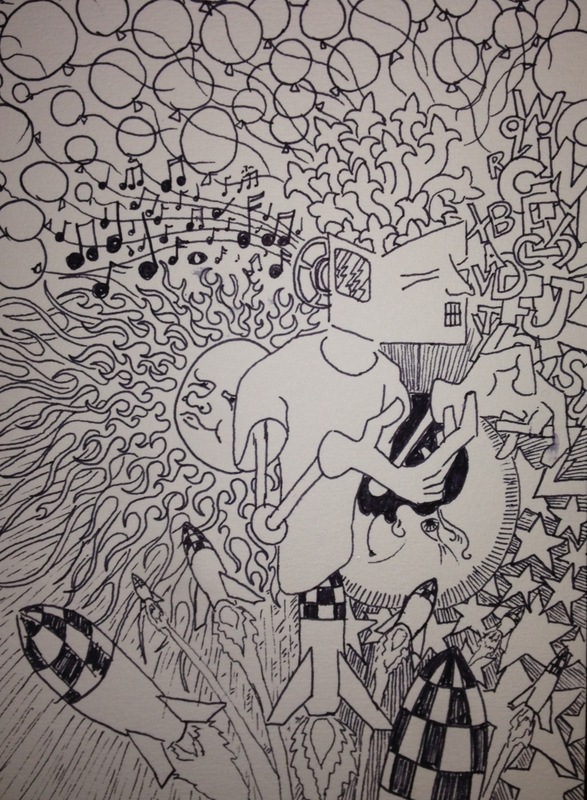 This entry was posted in abstract, black and white, crazy head thing, pen and ink. and tagged balloons, beer, letters., moon, Music, Peterborough, rockets, Spanky's, sun. Bookmark the permalink.